Both my parents grew up and married in Michigan. My mom was born in Michigan; my dad was born in Alberta, Canada only because his dad was stationed there during World War II. All four of my grandparents were born, married, and lived most of their lives in Michigan. My paternal grandfather was the only one of the four who died in a different state (Texas). He and my paternal grandmother were Michigan-Texas snowbirds for much of their retirement years. Grandpa and Grandma Robbins are two of only five of my ancestors buried west of the Mississippi River, in Texas. All eight of my great-grandparents were Michiganders. One of my maternal great-grandfathers was the only one not born in Michigan; he was born in Illinois and his family moved to Michigan when he was three. All of my great-grandparents married, died, and were buried in Michigan. Of my 16 2nd-great-grandparents, all lived a significant part of their lives in Michigan. Six were born in Michigan, 12 were married in Michigan, 14 died and were buried in Michigan. The two ancestors of this generation who did not die in Michigan are another two of my five ancestors buried west of the Mississippi River, in Oregon. Of my 32 3rd-great-grandparents, 24—all (16) of my dad’s ancestors, and half (eight) of my mom’s ancestors—lived a significant part of their lives in Michigan, with two actually living their entire lives in the state. This is about 72% of that generation. Of my 64 4th-great-grandparents, I have been able to identify 62 of them. It’s not likely the two unknown ancestors of this generation lived in Michigan, but it’s not impossible. Of the 62, 17 of them lived in Michigan for part or most of their lives. They were all my dad’s ancestors, and none of them were born in Michigan, but were immigrants from other states or countries. This is almost 27% of that generation. Of my 128 5th-great-grandparents, I can identify 88 of them. Of these 88, seven—all my dad’s ancestors—were known to have lived in Michigan in their elder years. This is 5% of that generation. The earliest ones came around the time of Michigan statehood with their adult children to pioneer. When I tally the number of direct ancestors from my parents to my 5th-great-grandparents, I get 78 out of 254 people in seven generations who lived all or part of their lives in Michigan, or about 31%. None of these figures include my grandmother’s adoptive family, or my mother’s step-father’s family, both of which I research as if they were my own. It doesn’t include hundreds of collateral families, which include thousands of individuals who are other children, brothers, sisters, nieces, nephews, aunts, uncles, cousins, step-parents, step-siblings, in-laws, and second (or more) spouses of my direct ancestors. Michigan counties in which my direct ancestors live include (in alphabetical order): Allegan, Antrim, Clinton*, Genesee*, Gratiot*, Houghton, Ingham*, Kalamazoo*, Kent*, Lapeer*, Lenawee, Macomb*, Muskegon*, Oakland*, Oceana*, Ottawa*, Newaygo*, Saginaw, Sanilac, St. Clair*, Tuscola, Washtenaw*, and Wayne. I’ve marked the counties with an asterisk if I had more than three direct ancestors living there at one time or another. The top six counties with the most direct ancestors who lived in them are Kent (21), Ottawa (15), Lapeer (13), Muskegon (12), Genesee (10), and Newaygo (9). Some ancestors are counted more than once, because they may have lived in more than one of these counties. Of my 57 ancestors who came to Michigan from another state or country, the highest number were born in New York State (18), the Netherlands (12), and Canada (7). Four each were born in New Jersey and Pennsylvania; three each were born in Ohio and Vermont; one each was born in England, Connecticut, Illinois, Maryland, Massachusetts, and Minnesota. 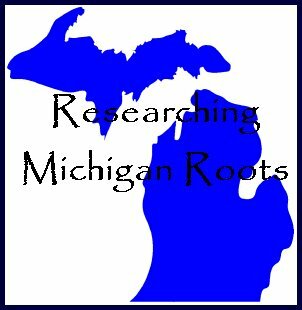 Because of all this, I've learned a lot about Michigan genealogical resources and historical records over the years. There's always more to learn, however! Do you have ancestors from Michigan? Or do you have numerous ancestors from another state or province that causes you to be an “expert” in genealogical research in that location? Tell me about it in the comments below, or write a blog post and link it here.